Kiev’s Dronny Darko is becoming known more and more for his versatility. Getting his first great recognition on his Cryo Chamber debut, Outer Tehom, Dronny Darko showcased his abilities in the field of horror-infused cinematic dark ambient. His follow-up Neuroplasticity went in a totally different direction. He presented his abilities there in the format of lowercase ambient with a sci-fi flavor. Spira Igneus was an amalgamation of the two styles, showing a horror-themed lowercase sound. Now, with Abduction, we return to the sound structures of Neuroplasticity. Immediately with Abduction, one will realize the total lack of structure. Some tracks, like “Vapor Swamps” present a little of something that could be considered drone. But more frequently, on tracks like the opener “Abduction” we hear sounds which appear to be 100% field recording based. There seems to be no synth, no drone-work, just a plethora of futuristic and otherworldly sounds. This makes for an album which begs to be played through a good set of headphones. The sound design on Abduction is first class. The bass is deep and rumbling, while the highs are crystal clear. In between the space of these many varied sounds or noises is dead silence or the gentle white noise of something like a distant engine. The heavy use of field recordings, which all appear to be manipulated in the lowercase style give listeners so much data to analyze that numerous playthroughs should provide an extensive amount of entertainment for even the most avid of dark ambient listeners. Dronny Darko seems to have taken the formula for Neuroplasticity and elaborated and perfected it in every way imaginable. My main issue with Neuroplasticity was not in the sound design itself, which appeared to be spectacularly nuanced. The issue was in the seeming lack of a greater story developing. There were interesting concepts which seemed a bit disjointed. That’s not to say that he didn’t have an over-arching plan. It was just hard for me as a listener to bring it all together. The abduction theme presented here leaves plenty of room for the individual listeners’ imaginations to run wild. The structure is clearly presented but loosely described. We know for certain that there was something to the effect of an alien ship likely abducting a human. Beyond that we are left to imagine the story taking shape however we please. I, personally, get the feeling that this entire album takes place on the spaceship. All these lowercase sounds come together to form a brilliant representation of a machine running on an energy and engine which are far beyond the understanding of humanity. With all these strange and alien noises, its really hard to imagine the process of gathering these field recordings for manipulation. While many dark ambient artists incorporate elemental field recordings: rain, wind, crackling fire, creaking doors, footsteps, Dronny Darko presents us with sounds that seem almost entirely foreign. I honestly couldn’t place the source of hardly anything he’s used here. This serves to increase the imaginative powers of Abduction all the more. This second album in Dronny Darko‘s more futuristic sound (second on Cryo Chamber at least) hits the mark on every level. The theme is brilliantly executed. The technical aspects of the sound design are mind boggling. The replay value, given these two elements, is extremely high. 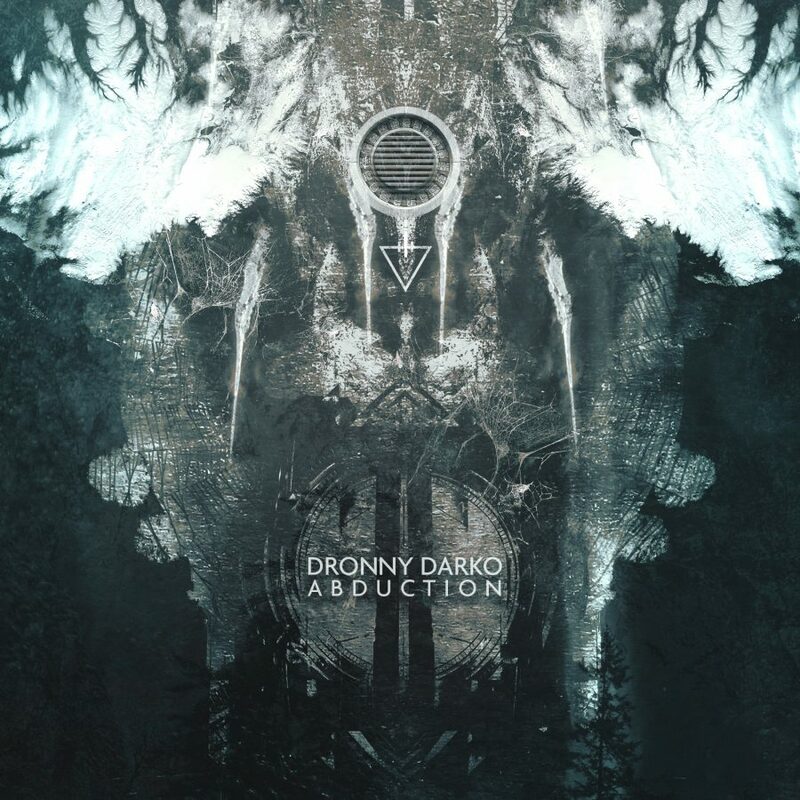 This is likely the most accomplished album to date from Dronny Darko, taking dark ambient to such experimental heights that it seems to be in a galaxy of its own. Fans of a more traditional dark ambient style may be scratching their heads in confusion at this release. But anyone with a colorful imagination and a willingness to step outside the ordinary will find a delightful listen. Dronny Darko continues to prove innovative with each release, and this one has taken him leagues further than its predecessors.